The City of Brotherly Love is celebrating a Super Bowl Championship! The Philadelphia Eagles have overcome injury, the playoffs and the imposing Patriots to win Super Bowl LII! To celebrate this amazing achievement we are excited to offer the Eagles Super Bowl LII Champs Wilson Duke Game Model Commemorative Football. 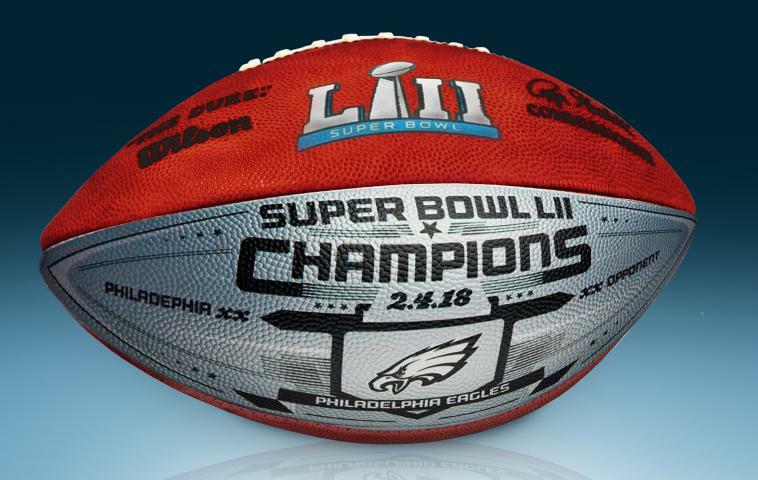 Each ball includes the official Super Bowl LII logo, and the silver panel with Eagles team logo, score of the game and other game details. Order yours today before they are gone. 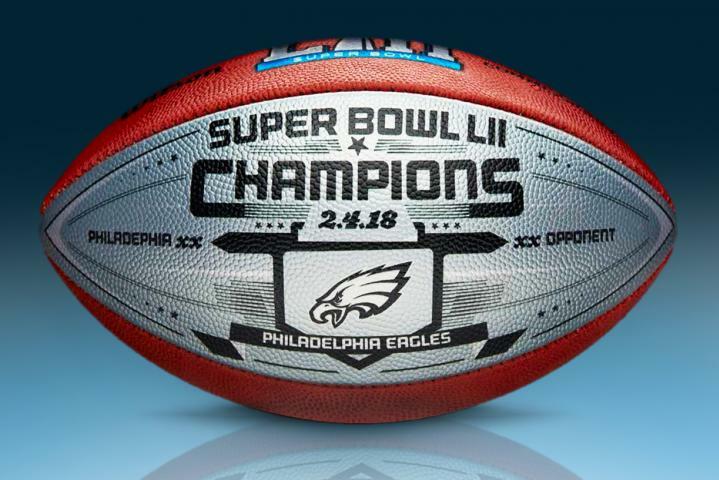 Eagles Super Bowl LII Champs Wilson Commemorative Game Model Ball $174.95 Sold Out!